Finding an evaluating nursing home and long-term care options for someone you love is one of the most difficult jobs there is. Moreover, the search for a quality nursing home often occurs under the gun - when the hospital or rehabilitation center is threatening discharge or when a loved one needs more care than can be provided at home. The facility must be evaluated for the quality of care provided, ease of loved ones to visit, staffing levels, food quality, the opportunity to participate in activities, and many other facets. Unfortunately, cost is often an unpleasant but necessary part of the equation. The high cost of long-term care has made planning a critically important issue for most middle class seniors and their families. 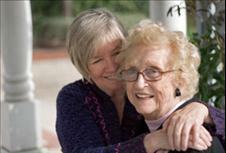 In fact, most seniors will likely require some form of long-term care. Sadly, many of them are unprepared for the significant financial burdens it places on their family’s hard earned savings. Financial devastation looms large for many families who may be facing ongoing care at a rate of $10,000 or more per month.